The John F. Kennedy Center for the Performing Arts is recognizing arts education efforts in Alaska’s Capital City. 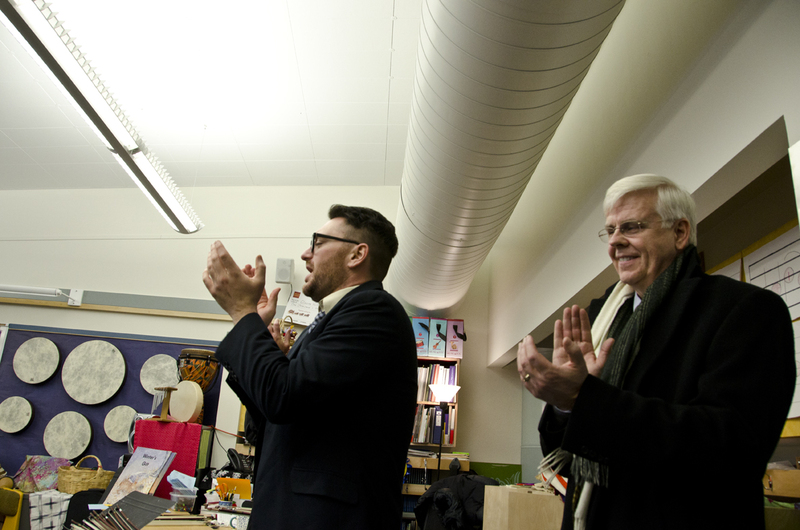 The center today announced from Washington, DC that Juneau has joined its prestigious “Any Given Child” program, which promotes city-wide arts education for students in kindergarten through eighth grade. Juneau is the 11th city admitted to the program since it started in 2009, joining much larger communities such as Sacramento, California, Portland, Oregon and Austin, Texas. The goal of “Any Given Child” is to provide a quality arts background for all children. Kennedy Center experts will work with the Juneau Arts and Humanities Council to figure out the community’s needs and come up with affordable solutions. Former JAHC president Annie Calkins wrote Juneau’s “Any Given Child” application. “We wish to increase the equity across all of our schools. Some of our schools have excellent arts education happening at the elementary level and others do not have the same level of intensity or exposure and we want to make sure that across both of our middle schools there’s some equity as well,” Calkins says. Kennedy Center Vice President for Education Darrell Ayers says the center is federally mandated to reach out to communities across the country. Any Given Child expands that reach by using chosen communities as examples for arts education. Even though the Kennedy Center doesn’t provide any grant money, local funding can perk up after Any Given Child comes to town. Ayers says one funder gave Austin an additional $1 million. “They see that the arts community has come together and people, rather than it being kind of a helter-skelter approach to arts education, everybody’s working now hand-in-hand,” Ayers says. In December, Ayers and a colleague came to the Capital City to fact-check Juneau’s application. 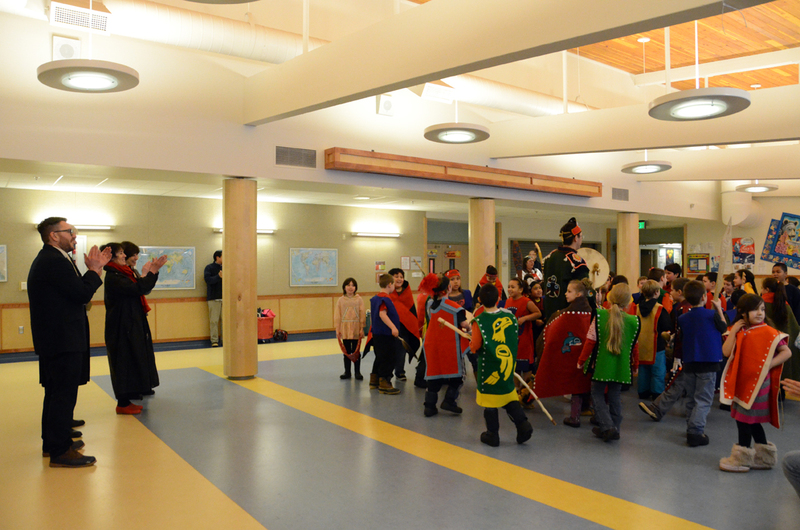 Second-graders at Glacier Valley Elementary School performed a violin concert and Tlingit dance. The performance exemplifies what drew the Kennedy Center to Juneau in the first place. The violinists are part of Juneau, Alaska Music Matters, or JAMM. Lorrie Heagy started JAMM in 2011. Now those students are continuing their music education in second grade. Heagy says nearly 300 students are in JAMM. “Their listening skills have become so fine-tuned that by the first half of the year they could identify the first four strings. But by the end of their kindergarten year in the spring, they could come up to me and say ‘Ms. Heagy, my A-string is out of tune,'” Heagy says. Ayers says next week, the other ten communities will meet at the Any Given Child Annual Exchange. Juneau representatives will join the cross-country brainstorming session in DC next year. Any Given Child planning in Juneau begins next month.